Alot has been going on in our kitchen lately. When I started to plan how I would blog about everything it ended up being nearly 5 "topics". 5 days in a week=5 topics sounds great to me. I shared here that we have a wonderfully updated kitchen (considering our house is 34 years old) that has beautiful cabinets. The only issue? No pantry. 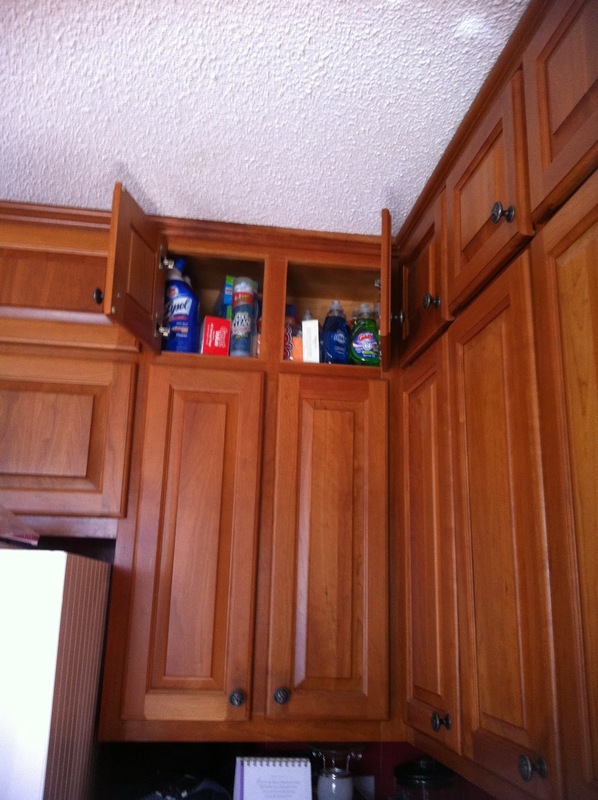 And since I am right at 5 feet tall the waaaay upper cabinets are almost completely useless to me. I do store my coupon stockpile up there and some Christmas dishes, but nearly half of them are empty. So this week will be alot of kitchen talk. And I'm excited to show some things we did by spending very little moolah!